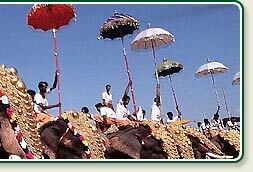 Thrissur Pooram - The most colorful temple festival of Kerala. 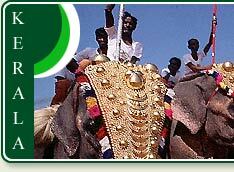 Thrissur Pooram is the spectacular festival of light and color, percussion and elephants. It is the most colorful temple festival of Kerala, which attracts large masses of devotees and spectators from all part of the state and Globe. 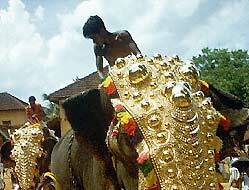 The most impressive processions are those from the Krishna Temple at Thiruvambadi and the Devi Temple at Paramekkavu, both situated in the town itself. The hours-long dazzling fire works submerge the Thrissur city of Kerala in an ocean of color. 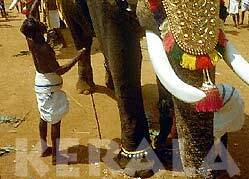 The commissioning of elephants and parasols is done in the utmost secrecy by each party to excel the other. Commencing in the early hours of the morning, the celebrations last till the break of dawn, the next day.